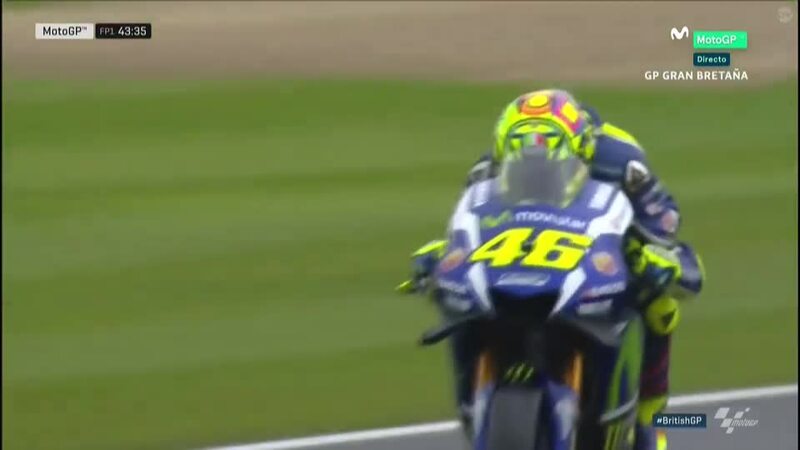 The Octo British Grand Prix is now underway at Silverstone Circuit in Northamptonshire, with grey skies but the threat of some drops of rain staying away in FP1 and lap times starting to tumble after a slow start. 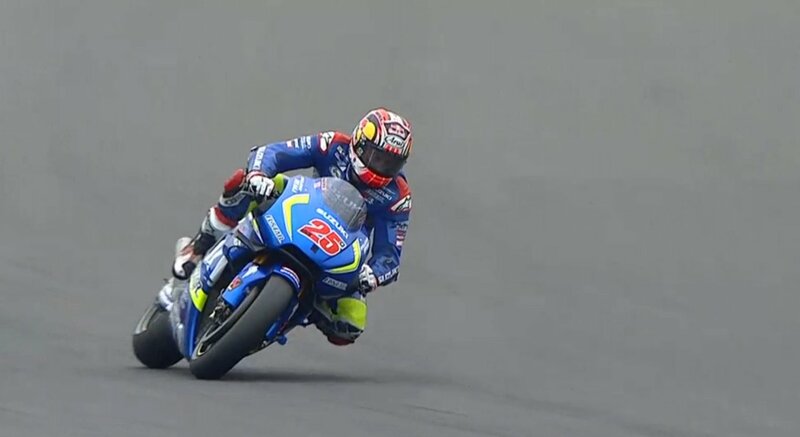 Maverick Viñales (Team Suzuki Ecstar) was the late charger in the first free practice session to take P1 with only a few minutes remaining, as Silverstone veteran Jorge Lorenzo (Movistar Yamaha MotoGP) and points leader Marc Marquez (Repsol Honda Team) completed the top three. 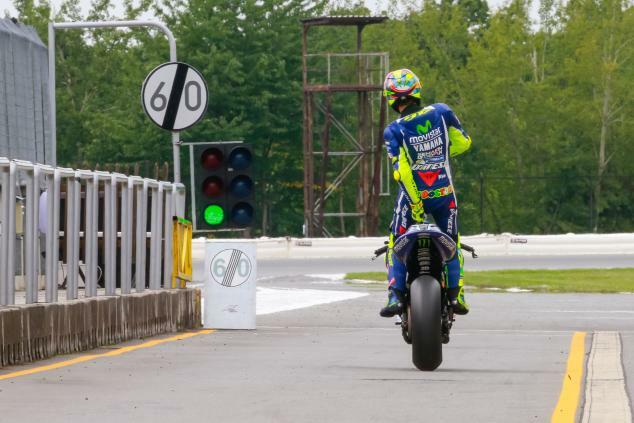 Lorenzo’s teammate Valentino Rossi was off to a good start at a track that has often seen the Italian struggle as he was fourth fastest, ahead of compatriot Andrea Dovizioso (Ducati Team), who completed the top five. 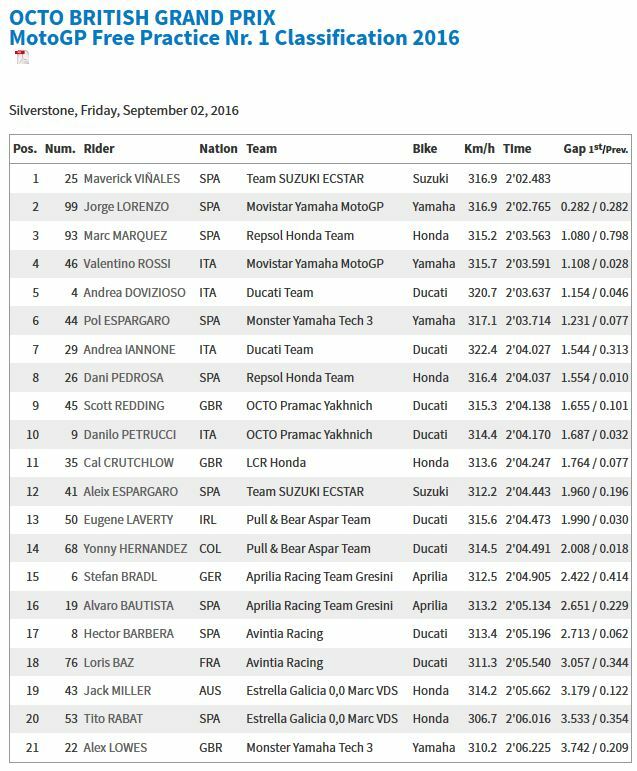 Pol Espargaro was sixth fastest for Monster Yamaha Tech 3, ahead of the second Ducati Team machine of Andrea Iannone. 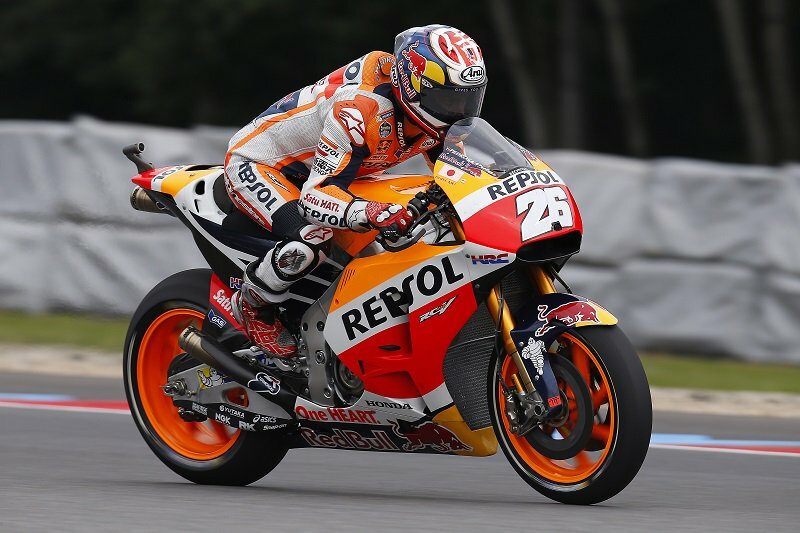 Dani Pedrosa (Repsol Honda Team) had a much improved first session in terms of position, as the 3-time world champion kicked off his Silverstone campaign well inside the top ten in P8. 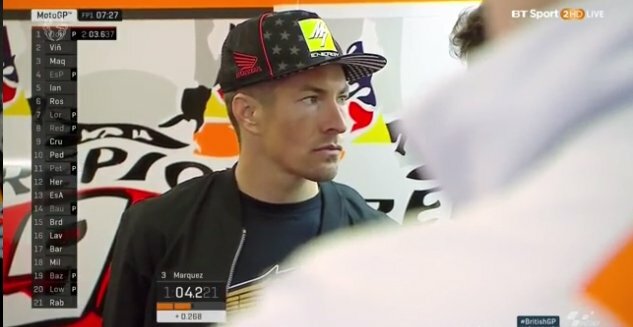 Scott Redding (Octo Pramac Yakhnich) headed the tables mid-session for a time, as the Brit tests out his Ducati around the 5.9km fast circuit that has seen him enjoy a lot of past success, and ended the session in P9. 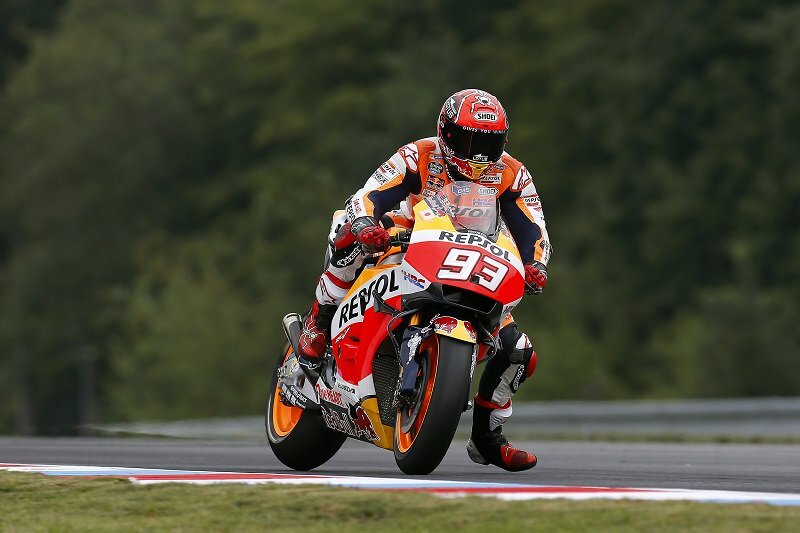 Brno winner Cal Crutchlow (LCR Honda) was just outside the top ten in P11, as the drier conditions prove more of a challenge for Independent Teams. Alex Lowes, replacing Bradley Smith at Monster Yamaha Tech 3, was a late crasher at Turn 12, as many riders found themselves caught out on the same part of track. 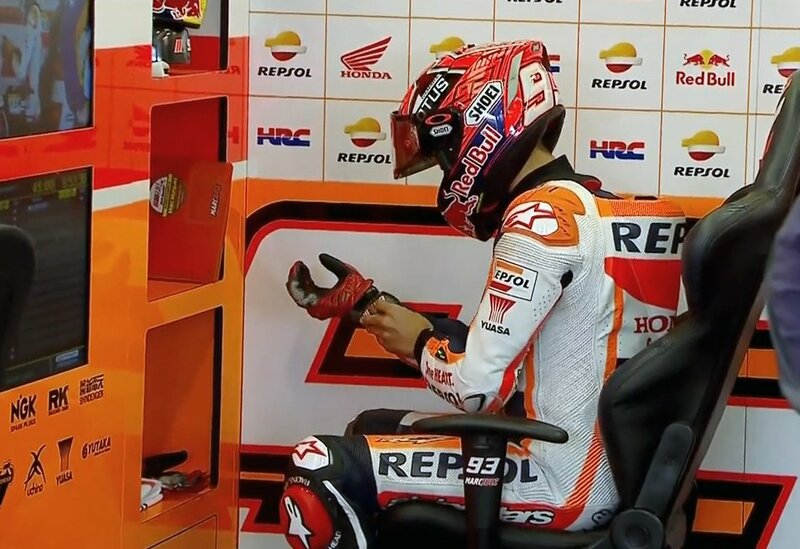 Further fallers included Hector Barbera (Avintia Racing), and Marc Marquez – who nevertheless recovered in Marquez style to finish the session in the top 3.